Moments just happen and sometimes even a simple gesture at a family gathering can lead to a wonderful photograph. The younger of the two sisters, Kinsley, doesn’t know what to think when her nephew, Andrew, comes into the room wearing a “Lucha Libre” professional wrestling mask. 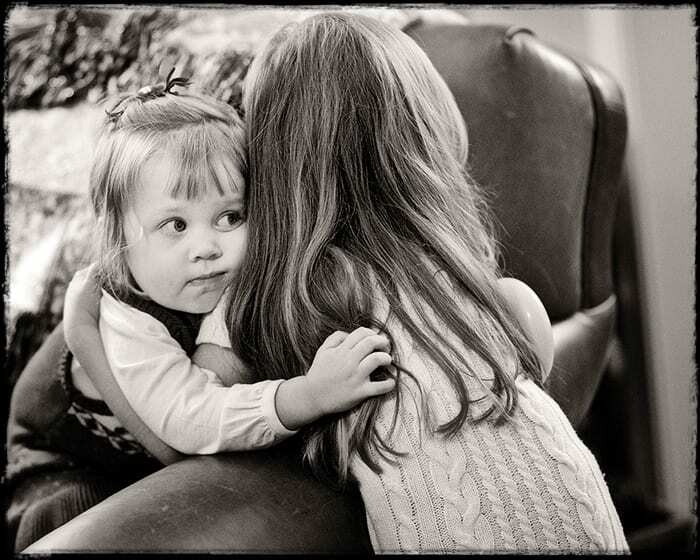 Kinsley’s older sister, Caryn, recognized her lack of security with the situation and proceeded to provide her own style of “big sister” comforting.